In 1940, Walt Disney released his second feature film: Pinocchio , based on Carlo Collodi’s 1883 Italian children’s novel. The film was groundbreaking: from achievements in animation and sound effects to establishing a pattern for Disney filmmaking that survives to this day. It became the first animated feature to win a competitive Academy Award (in fact, it won two), and is now considered one of the finest Disney films ever made, even earning a place on the roster of the National Film Registry. 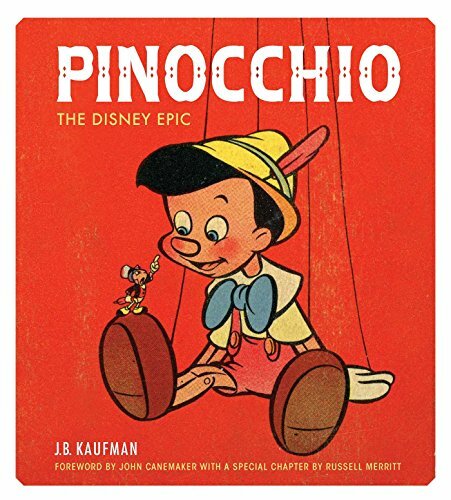 To celebrate the film’s 75th anniversary, author J.B. Kaufman presents a complete history of the making of Pinocchio , from source material to rerelease. Kaufman, in conjunction with the Walt Disney Family Foundation, presents an in-depth exploration of the making of the film. Learn everything from the inner workings of the Golden Age of Animation to the animators’ personalities; to story changes and the reason the iconic Jiminy Cricket almost didn’t make it in the film. All of these are presented alongside over 300 photographs, illustrations, and concept sketches, many never before available to the public. Become a part of the wild, legendary ride that was the making of Pinocchio .